What follows is a collection of islands, underground cities, and entire planets thought up and documented by some rather creative people. Imagine an entire city beneath New Mexico, which derives it's light from the phosphorescent algae that lives in the subterranean lake. It's only entrance is through a lava tube in an extinct volcano. This idea is what (at least part of) the Myst backstory is based upon. The city of D'ni, several miles below the Earth, had been a place of fantastic and magical - almost-god like advances. Perfecting a craft known as "The Art", writers could bring real worlds to life through their techniques. 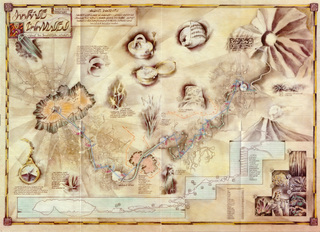 The map itself came from Myst: The Book of Ti'Ana, and features prominently in the first half of the story in which diggers seek a path to the world above. It's incredibly detailed, with notations on the types of rocks they found throughout the journey as well as a cross-sectioned map of the decent into the city. Hyrule has had as many different iterations as there were games in the series. 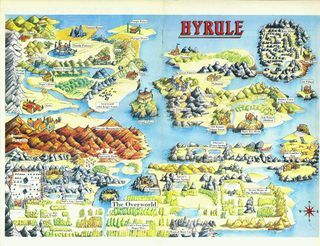 The map above features the Hyrule of the first (The Legend of Zelda) and second (Link's Adventure) games. I've always preferred the layout of Hyrule as it was in the Ocarina of Time and the heavily modified Wind Waker. And while this map is a bit cartoonish, it's fairly accurate in the land it represents. It's been awhile since I played the original Zelda, and even longer since I've played the second. But pouring over this map took me back. (I'd completely forgotten about the cemetery in the northwest corner). A few miles off the coast of Costa Rica lie The Cinco Muertos, or "The Five Deaths" a fictional archipelago with several islands owned by the InGen Corporation. On one of these, Isla Numblar, John Hammond created the world's first dinosaur theme park ... with real dinosaurs. Of course, everything falls apart once Dennis Nedry shuts down the systems, a hurricane strikes the island, and the dinosaurs are free to roam about the island. I was hoping for more out of the map. (I'm not sure where it originally came from). It's handy in giving out the locations of the features (and species) on the island, but lacks any more depth than that. The inside of the cover for the first-run hardcover edition of The Lost World had a great (and very detailed) map of Isla Sorna, and I was looking for something similar with this map. The sequel to 20,000 Leagues Under the Sea and In Search of the Castaways, has Jules Verne revealing Lincoln Island as the secret hiding place of Captain Nemo's Nautilus. The story obviously influenced the creators of Lost and Myst, with people landing on an uncharted island and strange things begin to happen. 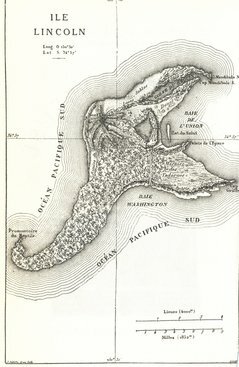 This may be the only map on the list that could possibly represent a real area, that of the Oregon Coast. However, I've studied this map and the real map of the area around Cannon Beach and Astoria and can't get it to line up. Any suggestions? I gave this game and its users a lot of crap in an earlier post. And while the game and it's followers have many detractors, it's undeniable that the world the creators have made is astonishing. Playing the game, I was amazed at not only how detailed the landscape was, but how vast it was. No detail was overlooked. The world had beaches, woods, deserts, savannas, snowy tundra, and everything else under the sun. (Or whatever star Azeroth revolves around). 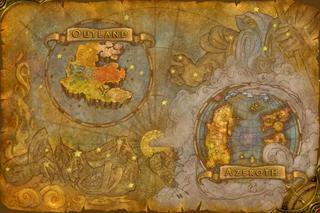 The Azeroth map (or, at least, this Azeroth map) doesn't really do it justice. I'd much rather see the worlds, and it's mountain ranges and cities, than stare into the blank eyes of cartoon characters, which take up half the map. 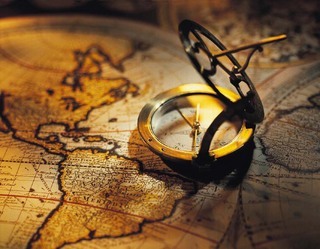 However, I'll forgive the cartographer in that the land is so big, it would take Rand-McNally to put everything in there. This is the Queen Mother of all fictional maps. Tolkien left nothing out when creating his layout of Middle Earth. 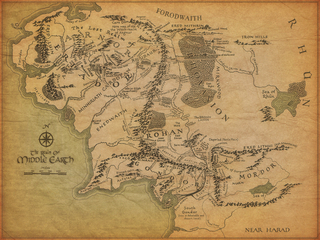 Granted, I'm a Lord of the Rings fan, but stories could be told from this map alone without the help of the texts. The only thing that's bothered me about this map is the way the Ered Lithui mountains conveniently surround Mordor at right angles. It was almost as if Tolkien took such great lengths to build out the rest of the map that when he got to Mordor ... he phoned it in. Still, the influence this map has had on fictional mapmakers since it's creation is undeniable. I would also include the map of the Forgotten Realms setting for the Dungeons and Dragons game. The 3.5 and 4.0 versions of the maps, while drastically different, are both very good. said TXCherokee on June 4, 2009 5:52 PM. said Leonardo Carvalho on June 4, 2009 9:17 PM. I've been playing Oblivion on the Xbox 360, and I found that they had done the game map online using the Google Maps API... Pretty cool. You can zoom in and see all of the little details. said LostInDaJungle on June 5, 2009 12:05 AM. LIDJ - Oblivion is an amazing game and definitely a worthy inclusion on this list. Sorry for the oversight but thanks for the link. said Echowood on June 5, 2009 11:02 AM. What about the map from Time Bandits. said El Payo on June 5, 2009 6:56 PM. 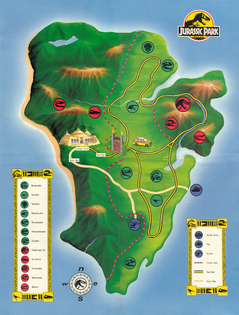 If remember correctly the the Isla Nublar map comes from the SNES videogame that was released back in 1993. The game was sort of an adventure game and the map was of little help :) still, quite challeging. 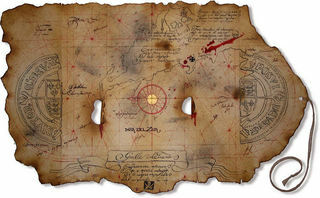 About The Goonies Map, how did you get it? 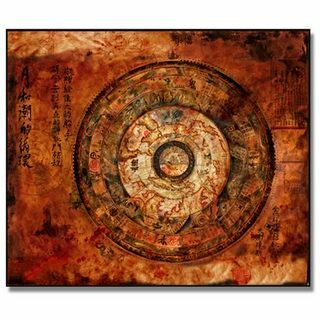 Is there a way to get a higher resolution scan? said andres.lechuga on August 19, 2010 1:33 PM.